After completing his degree in painting at Edinburgh College of Art, David Price undertook MA’s in sculpture (at Newcastle University) and printmaking (at the Royal College of Art). His paintings thus understandably employ a synthesis of different skills and techniques – fusing methods from etching and lithography into dense and intricate compositional works in oil and acrylic on panel and canvas. 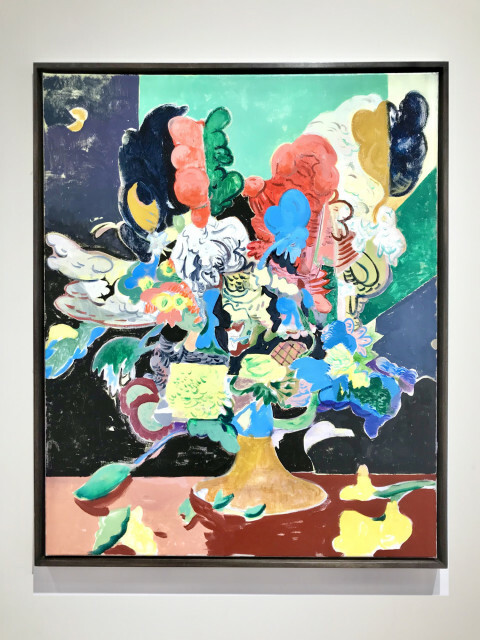 Price has exhibited widely in the UK since 2009 when he was selected – as a recent graduate of the RCA – for the Bloomberg New Contemporaries. His work is held in significant private collections internationally, and was recently acquired for the permanent collection of the V&A Museum, London.